Christian apologetics: is there, besides the current popular approaches, another way to “take every thought captive”? Room for another? Can another transcend these? There are generally thought to be three approaches to Christian apologetics. Definitions will vary, but here are what I think are some good ones. One approach is known as fideism which says that the best defense of the faith is preaching the Gospel, and that “rational evidences” have nothing to do with the process. Faith and reason, while both having their place, are opposed to one another like oil and water. 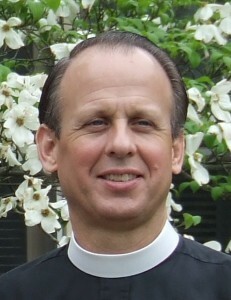 Presppositionalism has its roots in Calvinist theology, emphasizes the unbelievers darkened reason and the power of the Word of God to convert, and, according to John Frame, “should present the biblical God, not merely as the conclusion of an argument, but as the one who makes argument possible” (Cowan, Five Views on Apologetics, 2000, p. 220). Evidentialism looks to engage a persons’ rational capacity and takes advantage of accepted methods of doing scientific and historical research. It examines the claims made about Jesus Christ by the eyewitnesses of the Biblical narratives, and looks to determine whether or not the claims are, as the Apostle Paul put it, “true and reasonable” (Acts 26). 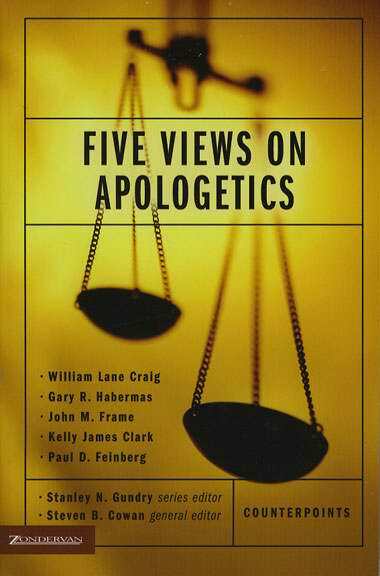 What is one to make of the variety of approaches to Christian apologetics? In order to understand fideism, I think its important to “put the best construction on it”, something that presuppositonalist Alvin Plantiga seems to do (here is another well-written and intriguing post on the topic). Wikipedia has what I think is a very helpful and interesting paragraph (as of today at least) under its overview. …would surely take exception to that characterization! * And interestingly, C.S. Lewis would have been the first to defend him (see picture below). I have often wondered if there isn’t a presuppositional way to argue from evidence. The reason most evidential argumentation falls flat is because the underlying assumptions of the unbeliever’s worldview are rarely challenged. So even though the evidence presented is often very solid, the unbeliever reinterprets it through his own grid. [Presuppositional apologetics] seeks to challenge those assumptions, whatever they may be in particular cases. It seems to me that it should be possible, at least in theory, to make a holistic apologetic that both challenges the assumptions of atheists and even other religions on a philosophical level, while simultaneously showing how the evidence all points to the biblical worldview being correct. Of course, none of that means anything without the gospel; but we both know that already. This is what we are going to be looking at more closely. For a preview of some of the content of that discussion, check out this very interesting post at the Brothers of John the Steadfast blog by Sam Schuldheisz, titled “Lutheran and Reformed Apologetics: An Overview”. I also recommend reading the comments as I think a very productive discussion – involving both Dr. John Warwick Montgomery and Dr. Rod Rosenbladt! – took place there. I think Jim is making some real sense here, and in the coming series, I will do my best to clarify how this might be done – starting with my own deep appreciation for evidential apologetics and John Warwick Montgomery. I hope that you will find it helpful, and I invite you to offer me help as well in this process. *Montgomery’s point about Christ making Himself vulnerable goes hand in hand with the Lutheran emphasis on God using humble, simple, and weak things so as not to terrify us utterly with His power and holiness. Working through the Word and Sacrament, God makes Himself able to be resisted. In the last post, we looked in some detail at historicism, which I said has been one of the great enemies – along with philosophical naturalism/mechanicism – of the Christian faith. My take on the current influence of historicism in the Western world is that it is gradually going extinct as particularly Christian notions of divine providence dissipate in the wider populace. 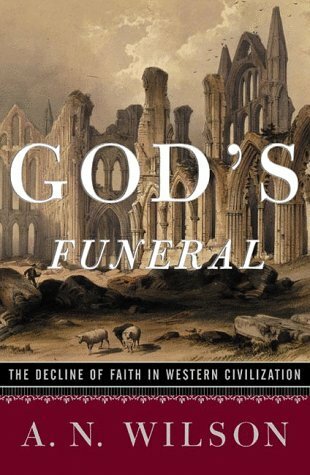 That said, I think that historicism still exerts significant influence in the [dying] mainline churches and, ironically, perhaps increasingly in more conservative church bodies as well…. (with Erlangen theology, for example, being increasingly attractive to some conservative proponents of Lutheranism looking for what are widely considered more intellectually respectable options). 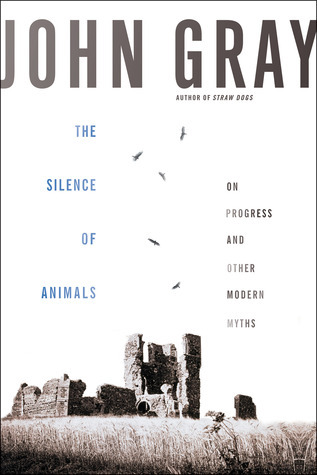 An agnostic seeking to be escape the “myth of progress”, based, he says, in religion. More here**. Onward. The final post in this series addresses the reality of purpose in history as well as the Christian alternative to historicism (and more indirectly, philosophical naturalism/mechanicism as well). These days, we hear much from persons – even those who consider themselves quite “non-religious” – about “being on the right side of history”. A good question here is why one would assume – particularly if a person is more atheistic or agnostic – there is a right side to be on? Truly, even those who insist that impersonal and purposeless processes are the foundation of the cosmos consistently find themselves attributing a purpose to life that goes deeper than their mere preferences. Only written by the winners? And as noted in our first post, history goes down to the deepest levels. Who am I? Where am I from? Where am I going? What is the meaning of life? Or, in words Buttrick uses: Who am I? Why am I? What is the meaning of history? From where have I come and where am I going? Where were you when I laid the foundations of the earth? And if we should not, like those under the thrall of historicism, talk about “salvation history” as distinct “world history” – but rather say “history is history is history” – what does this look like? History is a part of who we are – not just the facts but the meaning of the past, present and future are always before us! 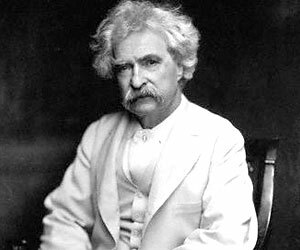 We cannot avoid being creatures who must give an account of who we are: from where we have come, where we are, and where we are going. This is because we are the crown of God’s creation created in His image. As He does history, we do history. That said, it is true that from the beginnings of the creation only God has perfect knowledge about what has, is, and will happen on this stage that He has prepared – the drives, the thoughts, the words and deeds of all flesh. And this is true even as He Himself is far from being a “neutral observer” but rather moves (in Him all “live and move and have their being”), influences, directs and harnesses all things. It sounds a bit trite, but it really is true – history is “His story”. And yet, thanks be to God! He has revealed to us that which we need to know about our living, moving and having our being in Him in space and time – the things that really and truly matter. God has spoken! – He is there and not silent, as the 20th century Reformed Christian apologist Francis Schaeffer liked to say. In working with His prophets and apostles He tells us what really matters – primarily who He is and what He has done and who we are and what we have done – giving us forgiveness, life, and salvation and – telling us also what He is doing and will do – filling us with direction, purpose, and power for living. In giving us this life-giving account of what has unfolded by His design in time, our Lord is, again, certainly not “neutral” – such a depressingly deadening and uncommitted word! – even as He certainly is just, fair, and reliable – true – in its telling. In His words to us we discover that in His work in time our Lord has chosen to work intimately with His image-bearers – that is the mini-Creators bent on rejecting Him due to the historic space-time fall. In fact, He has done this very thing – that is working with men – in giving us the Bible (again, see this post on the role of trust in human beings in God’s plan). This book was “co-written” with men more “given over to Him” than most – that is, by those who allowed Him to work through them to give us the Divine Scriptures, which we can and should say are in but not of this world. Like the Son and like the sons themselves. But of course, it is only natural that we want to ask: if this is the case can we say that God is “objective” in His telling of history? Again, we can see that what is really being asked here is whether or not the account that God has given us is fair, accurate, and reliable – true. It is indeed this – we can rest assured that in giving us the only real message that brings forgiveness, life and salvation He has described the past – and the future – in just this way, even as, again, it is not only this: fort the True One has also been in the midst of it, shaping it. Without a doubt, as regards what has come before us, for example – that is, history proper – we can and should say that there is a certain past that really happened, and that only God knows this past in its fullness, for He very actively knows all of us perfectly. We have no better account of the doings of God and men in time and space than what He can provide us with. So all of this raises a very interesting question for us: what to make of all other human efforts to record the facts and meanings of man’s past, present and future? Compared with Holy Writ, we can simply say that these are pale imitations – some better, some worse – of what our Lord has done. As men have worked to create accounts which portray the past and speak of its meaning both then and for now, there are certain things we notice. When we talk about the important events in history we tend to focus on victory, wealth, power, prestige, fame, worldly success (and post-Enlightenment, “progress”). He, on the other hand, seems to focus on more simple matters, particularly the power and work of death-defying love – divine and human – that goes deeper than all of these things, transcending them. So, some historical accounts of men will be more valuable than others, and not only because some are more “objective” than others. Of course, it really does go without saying that no human history is “objective” – it simply cannot be “unbiased”, as if we were the all-seeing and neutral narrator of a novel (of course detailing only the important events in the story – neutral?). 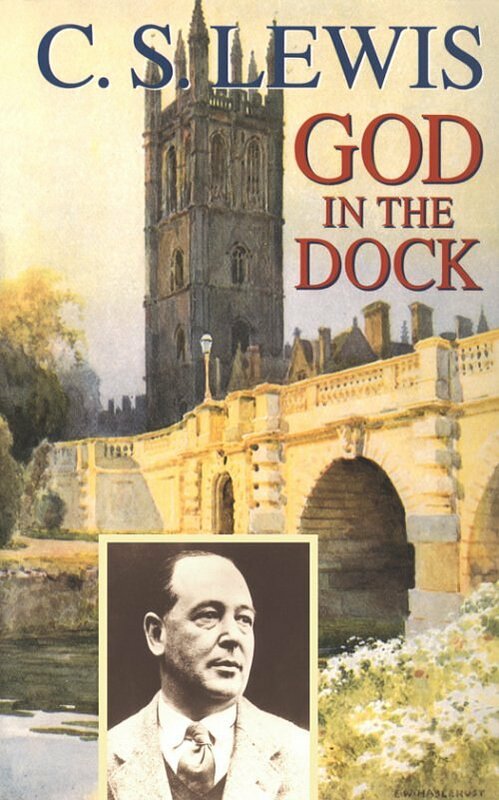 And we come to this important point again: even as this idea of the Author and the novel has often been connected with our ideas of God for good reasons, His knowledge of the past, present and future – as we have repeatedly noted above – is much more involved than this! We might equate the notion of “objective” with having a “God’s eye-point of view”. But of course when we think about what having a “God’s eye-point of view” on the world and history means, we might again be tempted to think of God as not being involved – or that involved – in the story. Is it more that God is objective or that He has an objective? But He is deeply involved – for He is the great Subject and the Lover of His whole creation (Psalm 145), with man its crown, as the great object. Yes, God’s objective is His beloved object – so here is how history is “objective” to the hilt! 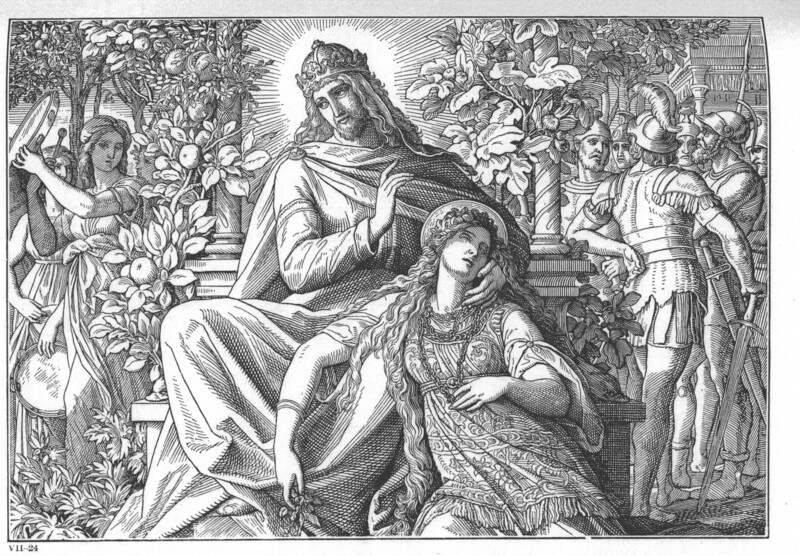 God’s reliable history – the Holy Scriptures – are not a removed and dispassionate accounting of the facts, but of the meaning of a romance between the Husband and His bride, the Church. Here, all the facts are important – incredibly important! *** – but fall into this wider context. And there are indeed dark nights in the soul in this history-defining relationship. But as Buttrick reminds us: “Faith in action has eyes when our natural eyes cannot see”. 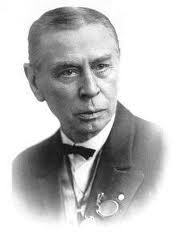 (p. 79) And in the crucified One, it overcomes the world – in the “long defeat”. Finally, perhaps some are disappointed that what I have said here does not take more of a “systematic theology”-like approach. That is deliberately the case – for I think that the Reformed theologian Michael Horton is right when he often asserts that “the doctrine is in the drama”. As I hope is clear from what I have written here, I think that what the Christian church has to offer the world when it comes to this matter of history cannot be underestimated in terms of its importance. That will become even more clear in an upcoming series: *How* will we know the truth that sets us free? 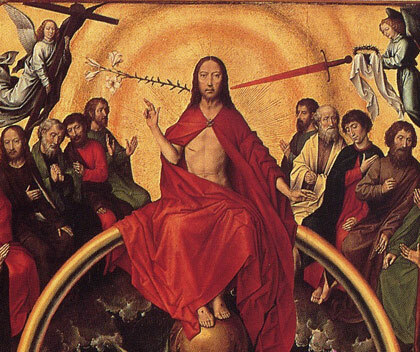 What is TSSI and is Jesus’ bodily resurrection the validation of His teachings? I hope you will join me for that one to. Deeply connected to materialist Christianity is a “materialist” understanding of time. In the modern understanding, time is simply a description of the chain of cause and effect – the past being a collection of causes, the present being the result of those causes, and the future being the results that have not yet happened (and therefore do not yet exist). With a materialist notion of cause and effect, history (with a solid/fixed existence) becomes of supreme importance. Christianity as a “historical” religion, becomes a description of Divine causes and effects. The linear character of time takes on a controlling character. Thus historical (solid/fixed) events such as the Creation of Man, the Fall, Noah’s Ark, the Red Sea, etc., have their historical character as their prime importance. The story of the universe is a story that takes place entirely within a materialist system of cause and effect. Sin is a historical problem requiring a historical solution. And because of the fixed nature of time/cause/effect, each historical event presupposes and requires the same character of its causes. Thus if the historical character of Adam and Eve are questioned, then the historical character of all subsequent events are challenged as well. The Fall becomes the cause of the Cross. “Adam as the progenitor of sin is nowhere an idea of importance (or even an idea) within the Old Testament. 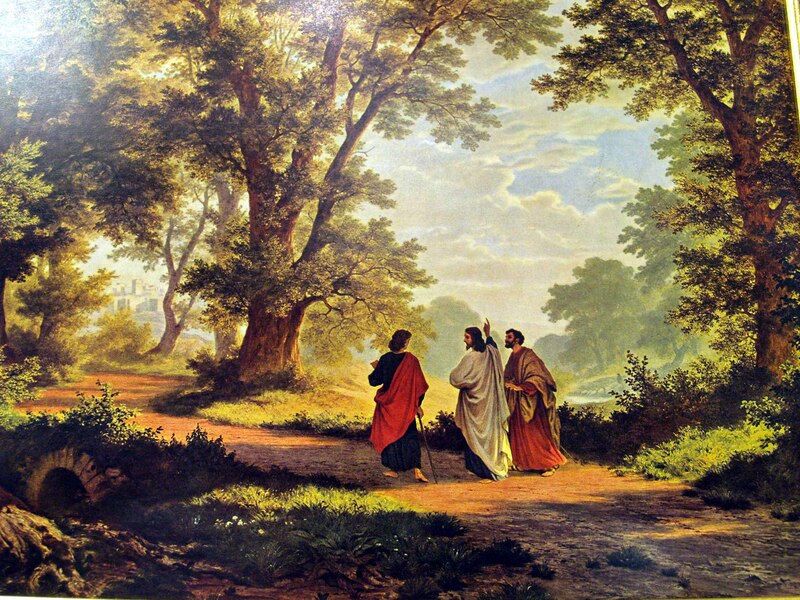 St. Paul raises Adam to a new level of consideration, recognizing in him a type of Christ, “the Second Adam.” But St. Paul’s Adam is arguably much like St. Paul’s Abraham (in Galatians), a story whose primary usefulness is the making of a theological point. ….when you say that “Sin is a historical problem requiring a historical solution”, is this not, from our perspective, something that seems to be very true? A simple reading of the account in Genesis 1-3 would seem to suggest this, would it not? Is there not some sense in which innocence was lost? Do they not realize they are naked? Do they not run? Does not “everything change” in some mysterious sense here? You speak of us misunderstanding the Fathers today, seeing them through the lens of this materialist Christianity (the “alien metaphysic” as you say). Do not some of the Fathers speak in this way though? you correct that there are fathers who speak in this way. I would speak in that way in certain contexts. But the Genesis account is not a simple account and there are many things within it that signal this. It is layered and complex and sometimes begs questions (that call us beyond the simple). I sometimes think that the “simple” approach to Genesis forgets to stay with the text and reads an imaginary construction of the text that ignores the signals to abandon the simple. “In the Beginning.” Sounds simple. St. John did not think so. Many fathers immediately noted that Christ Himself is the “Beginning.” I could go on and on and never leave the first verse. But look at Jesus… he never gives any indication that He took the events of the OT as anything other than things that really happened. What do we do when the True Myth Incarnate gives us such impressions… and then tells us to to believe like children? For it seems to me, there is a ruthless logic here. There are these genealogies that connect Adam with Christ after all… Why stop with Genesis and Adam as being mythological so as to just be for the now, now, now – at the expense of words acknowledging that it also has to do with the real past? Must these be set against one another? Is the realism you speak of – and which I hold to as well – against this? And that, for now, is where the conversation ends. I am told that someone like C.S. Lewis was “absolutely not a Christian materialist” but a decided “Realist” like the rest of the Inklings. And I ask “What does this mean?” Are we in the West who believe in a literal Adam not realists now where those who would deny him are? What do you do when the True Myth Incarnate (Hat tip: C.S. Lewis) gives every indication that the stories of the Old Testament are utterly historical as well as for our moral edification? Do you, in an effort to stifle this inconvenient truth, eventually end up consigning the True Myth Incarnate to more ethereal realms as well? Why wouldn’t you? And then, even if you still say that you believe in Jesus Christ (as Jowett – see part I – no doubt would have claimed), do you really? Might it not be time to wonder, with Paul, whether or not you have a “different Jesus”? 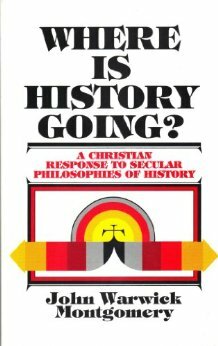 Today I want to talk about historicism, with lots of help from the respected confessional Lutheran apologist and historian Dr. Martin Noland. Over my last Christmas vacation, I tackled his PhD. Dissertation, Harnack’s historicism: the genesis, development, and institutionalization of historicism and its expression in the thought of Adolf Von Harnack (1996). ** Right away I was hooked and intrigued with Dr. Noland’s ambitious work, because we share very common interests and he seemed to “fill in” many of the gaps that have existed in my own knowledge of topics such as these (see my own series on this topic “What Athens needs from Jerusalem”). What follows is my own highlighting of key elements of Dr. Noland’s dissertation, along with some comments that aim to build on his very insightful observations and synthesis. The “post-speculative realist perspective” talked about in that quote is a term that emphasizes a distinction between men like Hegel and the others who followed him that are usually considered to be historicists – Hegel was far more optimistic about man’s ability to speculate accurately about the future, given what he considered the discernible workings of the Spirit in the world. 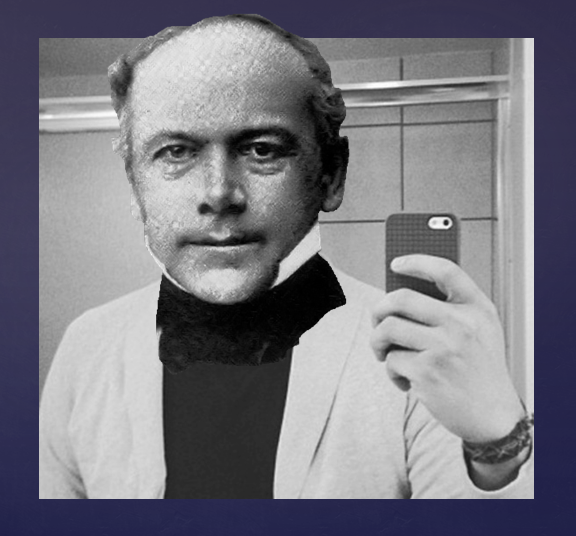 In his dissertation, Noland points out the Christian influences (particularly a strong notion of “divine providence”) on some of the first systematic thinkers in historicism – men who responded to and countered Hegel – particularly Ranke and Humboldt, and also says that the highly influential early 20th c. theologian Adolf Von Harnack was “closer to the early historicists… than Troeltsch may have realized” (p. 202, hence Von Harnack’s picture being in part I). Who is Troeltsch? 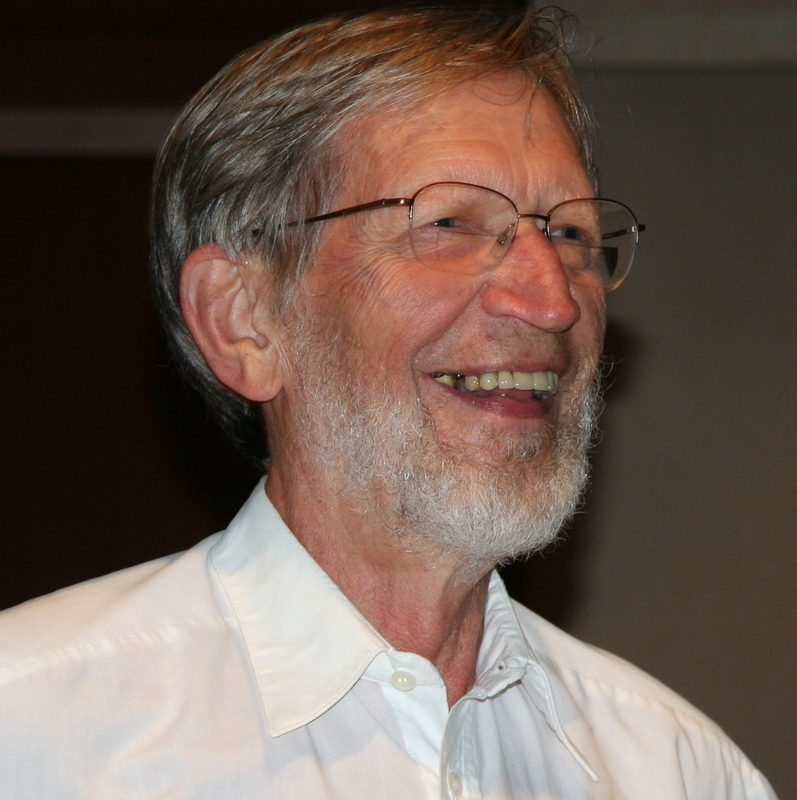 Pictured above, he is most well-known as a Christian historian of culture and religion, and the author of the famed work Die soziallehren der chrsitlichen Kirchen und Gruppen, which Noland says can be seen not primarily as a theological treatise, but “the epitome of historicist analysis of Western society at the highest level” (p. 213). 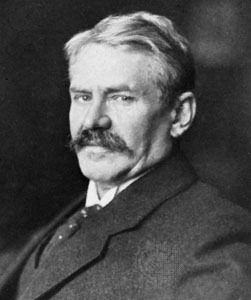 So it is not surprising that Noland cites Troeltsch quite a bit in his dissertation, for the most part seeming to accept his analysis and synthesis as helpful (Noland’s own view is that Troeltsch himself should be classified as a historicist – he also told me that his views were affected by World War One and that he thinks Troeltsch can be considered a transition figure***). Again, what follows will summarize some key bits of Noland’s overall analysis. 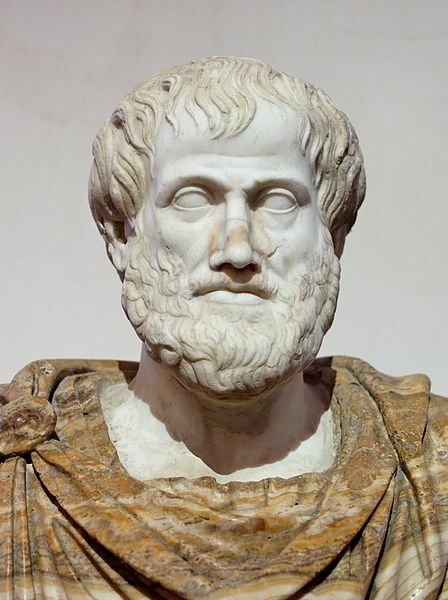 With the overthrow of Aristotle, both good and bad things came. First however, I will share some of my own comments – to set the wider context a bit more. With the advent of Descartes in the mid- 17th c., there is a fundamental shift in philosophy in the Western world – a shift that the great Lutheran theologian John Gerhard perhaps just caught the tail end of. Nevertheless – and I admit that I could be wrong about this – it seems to me that with Descartes we have an attempt to partially salvage Aristotle’s focus on certainties external to, or outside of, us – namely, their discernible essences – from the onslaught of Francis Bacon’s program (exemplified by a title riffing on Aristotle: the New Organon****), which in sum emphasized the importance of “what works”- technique (with extreme forms of nominalism being the inevitable result of this) via experimentation, systematic observation, and probabilities. Rene “I think therefore I am” Descartes was not only a towering philosopher but also a mathematician and practicing scientist. His ideas, scientific and philosophical (in these days, these were seen as going together, science was philosophy) had an immediate influence. It would be then be other action-men like Blaise Pascal who would soon afterwards seem to further vindicate crucial aspects of both Bacon and Descartes’ approaches, what with his many experimental science and mathematical-invention successes. Newton would follow soon thereafter, lending even more credibility – immense credibility – to Bacon and Descartes. However, even in these days there were men who saw what was being missed in these approaches and endeavored to put forth their own viewpoints. Some indeed sensed that the Enlightenment efforts of men like Descartes (“the only things that can be proved, demonstrated, and verified beyond a doubt can be called ‘knowledge’”) and later, David Hume (there is a “fact-value split”) were, to say the least, “a bit off”. On the other hand, historicism, according to Troeltsch, is the great antithesis of naturalism. And Descarte’s great antithesis personified was an Italian writer by the name of Vico. According to Noland and those he cites (men like Isaiah Berlin, for example), we see the beginnings of this species of thought called historicism with him, who also introduced the notion of “mytho-poetical” truth – and how it could explain what had happened among the heathen (note: not Jewish and Christian) nations (p. 102). Like Descartes, Vico wanted to pursue “science” and “general laws” and so did not outrightly reject the scientific mindset like the historicists of the future would (“German thinkers steeped in pietism and mysticism”), who put their focus not only on organic ideas, like Vico, but individualities as well (p. 116). While Descartes rejected the “application of human ideas, such as ‘laws’ and ‘principles’, to the study of history, Vico argued that human history is, in fact, created precisely through such ideas, which are ‘modifications of the human mind’” (p. 108) – he “asserted the epistemological primacy of the man-made historical world” (Gadamer, in Noland p. 217). In Vico’s mind, methodological error was to be charged towards persons like Descartes, who “apply human ideas, such as ‘laws’ and ‘principles,’ to the study of nature, which was created by God and so is fully known by God alone” (p. 108)! In short, “what the Enlightenment [and its naturalism] attributed to nature and nature’s God… the historicists attributed to history and history’s God” (p. 143). Troeltsch contends, Noland says, that “the empiricist category of ‘experience,’ with its anti-naturalist concentration on knowledge attained a posteriori, not least by immersion in the ‘stream of history,’… laid the foundations for the rise of historicism” (48-50). Noland also says that “criticism is not a chief, distinguishing principle of historicist thought” even though for the historicist, we note that actual historical events become all about probabilities (p. 59). In addition, for the historicist, the notion of “correlation” (“there can be no change at one point without some preceding and consequent change elsewhere…. Everything is interconnected and each single event is related to all others” – Troeletsch, p. 64) replaces the naturalist’s “mechanical concepts of causation” (though ultimately “’culture’, i.e. [bildung], is the historicist’s causal principle”) and “all classical notions of ‘substance’ and ‘essence’ become obsolete” and “even the notion of ‘truth’ becomes subject to change” (italics mine, p. 103). 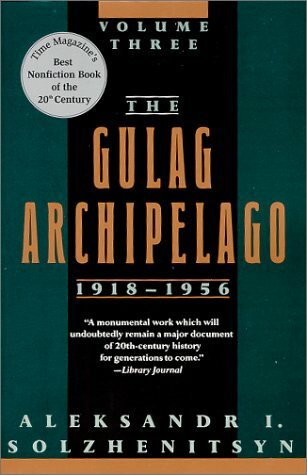 ******* Importantly, the past is not a “series of isolated, sporadic, and ultimately meaningless events”, but everything contributes to “development”, which “connotes some form of growth or improvement” (p. 69). Again, note that many of these ideas are either explicit or are implicit/tacit already within the writings of Vico, who can be called the “father of historicism”. How can the “good, the true, and the beautiful” avoid becoming that which certain persons – and those they choose to associate with – simply agree is – or they will say is – good, true and beautiful? Also noteworthy here is that before postmodern critiques like this came into play, Heidegger’s “existentialist analysis of Dasein and its temporality” can be seen to coincide with prominent historicists like Dilthey for example, who “judged that the internal experience of human ‘self’ and its historical memory” – “that strange fusion of memory and expectation” in internal experience – “afforded the only adequate foundation for historical knowledge” (p. 218). Unlike Vico, Dilthey summed up the view of many a modern historicist when he said that “the historical world cannot be subsumed under general values and laws, because history is constituted by the constant development of life in its inexhaustible and unpredictable fullness” (p. 219). And we would also be remiss to mention how with the advent of Darwinism, this naturalism and historicism Troeltsch speak of could actually be imagined to merge together and go hand-in-hand, something Troeltsch himself observed had happened (pp. 48-50). I would sum this up by saying that the only difference here is that there are evolutionists more in line with Newton’s more naturalistic and mechanical approach (think Dawkins minus Newton’s piety) and those more in line with Goethe’s more organic approach to evolution (think Stephen J. Gould minus Goethe’s supernaturalism). 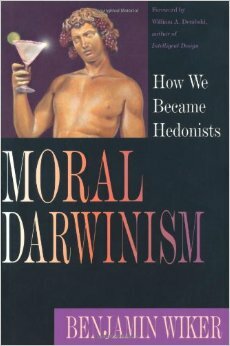 Here, I would refer persons to Benjamin Wiker’s helpful book Moral Darwinism to help one get a sense of the long and interesting story of evolutionary ideas and their influence. Further, I would also add that notions of “essences” – that is unchanging things – at this time could be more easily associated with things like atoms (and today particles known to be even more fundamental) as opposed to things like dogs, cats, men, women, marriage, children, etc. Of course when this is pitched we are then left with this question: how can the “good, the true, and the beautiful” avoid becoming that which certain persons – and those they choose to associate with – simply agree is – or they will say is – good, true and beautiful? Who do you trust indeed? Ah, trust. Who are the voices from history that really do have a handle on history – real history? We will pick up here tomorrow, but in the meantime, you can also see this post (“Put not your trust in men? Overcoming the Cretan’s paradox in Christ”) I did as regards the critical role of trust in the world in general and the Christian church in particular. Note that well. Evidently, we can’t seek to learn more about history simply because we are curious to do so. Of course questions will come, but no one can question absolutely everything. As regards that first quote accompanying the Troeltsch picture, of course this “secular historical science” was in many cases advanced by professing Christians. Although for many of them, universal human reason which could be shared by all (producing clear and distinct ideas) was not necessarily supposed to be opposed to the Bible – such was the claim at the time. ** In light of the issues presented by Lutheran theologian and textual critic Jeffrey Kloha several months ago, Lutheran theologian and historian Martin Noland gave pastors and interested laypersons a reading list (as had Dr. Kloha), and I slowly begin working my way through some of those recommended titles. One of those titles was Dr. Noland’s dissertation, evidently recommended to help persons have more historical context for better and more complete understanding these issues. The dissertation is available through the ProQuest dissertations database and so can be readily obtained from most academic libraries (I have commented more on this issue that arose a few months ago here). Another note: I shared this part of my series with Dr. Noland and he wanted to point out that he is not a historicist by just about any definition of the term. He actually took on this topic because his doctoral advisor, Dr. David Lotz, said that work needed to be done in this area for the “guild” of church historians. *** Personal email, Aug. 3, 2014. Note that on p. 113 Noland says that in Vico one cannot find the historicist principle of criticism (this would be where the historian tries to get behind the text, seeking for a “more credible” story) and yet it seems to me that the roots of this at least are clearly seen in this denial of more classical understandings of the terms “substance” or “essence”, which was certainly encouraged by Vico’s affinity for the Epicurean disciple, the Roman poet, Lucretius. If there are no stable categories that persons of varying backgrounds can agree on throughout time, can we, or should we, really be confident of anything that we are able to perceive? On what basis? The idea that we can be confident on the basis of a “principle of analogy”, affirming that human beings can know the things they have made (the mind’s awareness of its own productions over time) falls flat for both scientific (see Kant’s critique of this notion in his words vs. Herder) and practical reasons (for example, one simply needs to see all the important questions that historicists disagreed on! 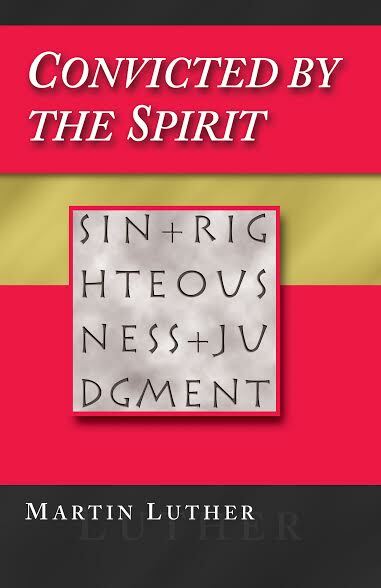 Which “self-understanding of the Spirit”???). Thus it is easy to see how the criticism that results in only skepticism without end gets started. Further, on p. 96 note that Vico, in spite of his belief in a version of Divine providence, contrasted his own view with the “doctrinaires [i.e., the Cartesians], who “judge human actions as they ought to be, not as they actually are (i.e. performed more or less at random)” and who, “satisfied with abstract truth alone” and “unused to following probability” (emphasis mine), do not bother to “find out whether their opinion is held by the generality and whether the things that are truths to them are also such to other people”. While Vico is not dealing with the probability of historical events here, one can see how his idea of human belief and behavior – with the emphasis on generally held opinion and actions “performed more of less at random” – decreases the importance of both particular beliefs in the world and individual human agency (even if it does increase the importance shown to individual “forms” – according to Noland, as the father of “organicism” Vico could say that everything that is ‘made’ is ‘true”” and that “there are no mutations and no aberrations, only manifold potentialities”, p. 103), and with this the importance of character, and with this the importance of loyalty and trust. This seems like it will inevitably lead to even more criticism and dissolution. After all, men are ruled “not be forethought, but by whim or chance” (p. 99). Also note that in spite of his supposedly un-mythical-poetical use of the Bible (he applied the mythical-poetical critique to all the non-Christian/Jewish religions), Vico also did not believe that we were all one in Adam (p. 180). With this principle in mind, one wonders how much “differentness” the historicist is actually able to tolerate. Resurrections from the dead? The lives of totally unique human beings like Jesus of Nazareth, the very Son of God himself incarnate in the flesh? If historicism can only be conceived of in categories more Platonic than Aristotelian, one wonders where this leaves the importance of this concrete determinative action of the Son of God in human history. That said, I do not think the idea of the “historical sense” is perfect either, when one considers the importance of not only God’s individual acts in history, but the ongoing story that the Bible tells of his faithfulness. Images: Wikipedia ; Noland – Brothers of John the Steadfast. Vico, Hegel, Harnack… in the line of historicism, yet another Christian heresy. I plan on getting to my posts dealing with Lutheran apologetics soon. First though, this series (which will lay some good groundwork for those forthcoming posts). In recent posts, “Daring to Deny Darwin” and “The ‘Upside’ of Being a Gadget”, I talked about one of the great enemies of the Christian faith: philosophical naturalism. (and I have characterized one of the most modern forms of philosophical naturalism – existing from the 17th century and up – as the modern scientific and technological mindset, or MSTM, which we could also call “mechanized naturalism” or “mechanicism”). I also recently posted a very short critique of Erlangen theology. One aspect of this kind of theology is that it attempts to take into account some of the more creative ideas and methods of the great 19th c. German philosopher Georg Wilhelm Friedrich Hegel. Hegel is perhaps the foremost proponent of “historicism”, which is a philosophy that originally arose in order to counter some of the negative aspects (and fruit) of more modern naturalistic views. * (more on this specifically in part II of the series). That said, historicism is another great enemy of the Christian faith. I would contend that the modern form of philosophical naturalism/mechnicism is like the drunk man who gets on the horse and falls off on one side. Historicism is the basic counter-response, and the drunk man falling off the other side of the horse. The one who tries to utilize both in tandem also cannot balance on the horse. Of course the drunk man in our analogy is a symbol of fallen man, particularly fallen man at the utter heights of his fallen intellectual powers (there is no denying he is clever and aware of much that is true!) – natural man’s own view of himself is that he is the “reasonable man”. In this series we will take a look at historicism while also talking about the importance of real history. Who am I? Where am I from? Where am I going? What is the meaning of life? These are questions about historical matters that none of us can fail to ask or think about. That said, naturalism and historicism, which I have said are two great philosophical enemies of the Christian faith, complicate terribly our potential answers to these questions. “Your Majesty, when we compare the present life of man on earth with that time of which we have no knowledge, it seems to me like the swift flight of a single sparrow through the banqueting-hall where you are sitting at dinner on a winter’s day with your thegns and counsellors. In the midst there is a comforting fire to warm the hall; outside the storms of winter rain or snow are raging. 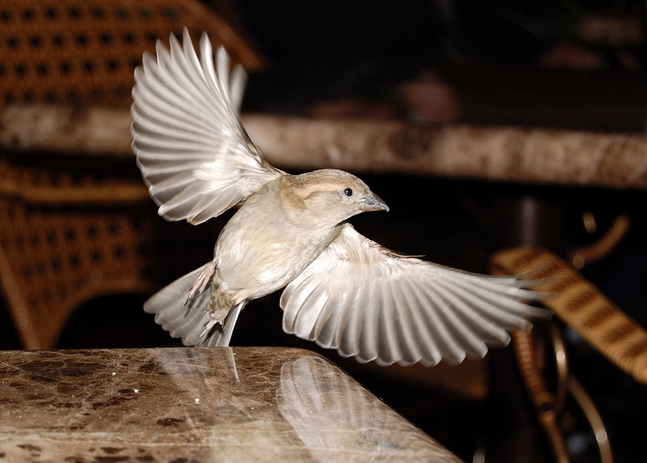 This sparrow flies swiftly in through one door of the hall, and out through another. While he is inside, he is safe from the winter storms; but after a moment of comfort, he vanishes from sight into the wintry world from which he came. Even so, man appears on earth for a little while; but of what went before this life or of what follows, we know nothing. Therefore, if this new teaching has brought any more certain knowledge, it seems only right that we should follow it.”** (story from Bede, The Ecclesiastical History of the English People, 731). Answers such as these were at one time seen as being eminently reasonable, especially in an age where much history had been lost. To say the least, this is no longer the case. Starting with the Renaissance but with the Enlightenment in particular, new ideas and new discoveries were in the air… Many of these ideas, some good and some bad, would find their most fulsome flowering in the thought of the great German philosopher Georg Wilhelm Friedrich Hegel. (though starting out with a man by the name of Vico – see next post). While it is fair to say that Hegel is more known as an idealist than a historicist, his work is associated with both of these streams of thought, which tend to merge. An interesting account of the increasing atheism and agnosticism in 19th c. England. “Unlike most Oxford men of his age, [Jowett] knew that there was an alternative [to self-defeating Humean empiricism and “insulting” revealed religion]. When his friend Arthur Penrhyn Stanley (destined to be Dean of Westminster – he is the little boy Arthur who risks the ridicule of his dormitory in Tom Brown’s Schooldays by daring to kneel down and say his prayers) had finished his magnificent hagiography of his hero Dr. Arnold, Jowett proposed that the pair of them take a holiday in Germany. They set off in the summer of 1814, with Liddell and Scott’s enormous and newly published Greek Lexicon, and with one copy of Kant’s Kritik der reinen Vernunft, which they took it in turn to read and analyse. They attended various philosophical conferences, but the most exciting and important thing Jowett did was to meet Erdmann of Halle – the meeting took place in Dresden. Erdmann was Hegel’s representative on earth. The two young Englishmen were thirteen years too late to meet Hegel himself, but meeting Erdmann was the next best thing. There is a brilliance about this remark. Of course, all the churchy bigots regarded Jowett as a complete heretic, and he spend his life, after he came to fame and prominence, being denounced by them. But he was something of a mystic, so that although he never for a moment believed in the Thirty-nine Articles or the literal truth of miracle-stories in the New Testament, he believed deeply in God and Christ. At first glance, certainly, idealism, the German version, seemed like the best approach for an attack on the dead hand of materialism and empiricism. The extent to which Hegel’s God – mentioned so frequently in that philosopher’s works – is the same God of Christianity can always be a subject of debate. Is Hegel’s God Personal? The community of the Spirit in Hegel consists in the Spiritual Community, or the Church. But this is not understood as [Cardinal] Newman and friends would have understood it in using the word. It is not the laying-on of apostolic hands, still less a sacramental ‘magic’ which constitutes the Hegelian community. The perfected community of enlightened ones is itself, in Hegel’s world, God. And he chose, when describing this community, and impersonal word, Gemeinde, ‘whose ordinary meaning excludes any idea of personal unity’. 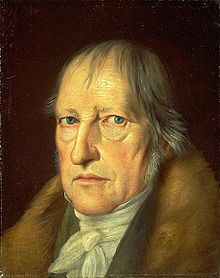 Hegel’s style of thought was to exercise much influence in 19th and 20th century theology. 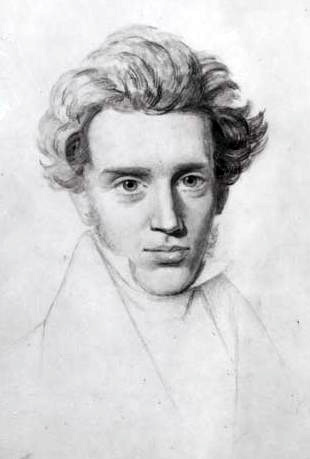 Of course in the twentieth century there was also resistance to his thought, particularly from the Kierkegaard-influenced neo-Orthodoxy, led by Karl Barth. That said, for all the good that can be found in neo-Orthodoxy, it was lacking in many respects, including its unwillingness to speak about the matter of history and the Christian faith in a way that did not cause utter confusion. Here, it seems to me, is the crux: against Hegel, the Christian must assert that there are some statements made on earth that remain and always will remain true. Permanent. **** Over against those who would employ Hegel to re-imagine the historic Christian faith in this or that way, we must assert that there is no “salvation history” that should be held as distinct from larger (or smaller, according to some theologians) “world history”. In short, “history is history is history”. That said, I think that some will, understandably, want to be nuanced in their understandings of these things, and in and in part II we will get on that road by taking a closer look at historicism…. *That said, in many cases historicism – in the minds of many men at least – is also frequently thought to be highly compatible with philosophical naturalism/mechanicism (particularly as regards what is the chronological and mechanical process of evolution and accompanying ideas of progress and goals). Part II will talk about this more. **** In this view then, the notion of positive law, for example, cannot simply be thought to be the mere product and catalyst of social change, but is rather is intimately connected with things that are permanent and transcendent, outside of us. If I hear him rightly, Montgomery is saying, among other things, something like “correspondence – not just coherence”. As Wikipedia says about “the Correspondence theory of truth”, “the truth or falsity of a statement is determined only by how it relates to the world and whether it accurately describes (i.e., corresponds with) that world”. Related to this of course, is the matter of demonstrable evidence, necessary to establish/verify particular claims. For me, it is very significant to think of a quote like this in terms of its epistemological and theological significance. Although the Scriptures say that all are guilty before God (Romans 3), it also assigns a greater degree of guilt to persons who receive more light. Does God assign greater culpability to those who simply hear the eyewitness testimony of those who witnessed the resurrection? Or do they need to at least feel like the claim is perhaps worthy of their attention – while still not believing it – before they can be accorded additional guilt? Or, in order for this to happen, do they perhaps first need to read C.S. Lewis on why Hume is wrong on miracles, John Warwick Montgomery on how faith is founded on fact, John Wenham on why the resurrection accounts are compatible, or J. Warner Wallace, N.T. Wright, or Michael R. Licona making an inductive case that it is more probable than not that Jesus Christ was resurrected from the dead? I will admit, I meant those questions to be rhetorical. After paying attention to and thinking about these issues for a long time, I have come to some conclusions in the matter which I plan on laying out soon. Talk about if you would the absolute necessity for Christian confession [of faith] to be based not just in claims, not just in assertions, but in what can be established by ordinary means by which we usually establish – to a degree of high probability – to be facts. I appreciate John Warwick Montgomery’s remarks here. I think that it is very well put and needs to be paid close attention to. That said, my questions revolve more around the content of Pastor Wilken’s question. What am I thinking about? Well, even if Christian faith is merely asserted in this or that circumstance, we can nevertheless say that by virtue of its being Christian faith there is necessarily a lot behind that assertion – not only good and logical reasons but things that we must call evidence as well. This is part and parcel of Christian faith, even if it really can not be said to be the case for other faiths (yes, a few do try, but I think very unsatisfactorily). But what is the nature of that evidence? When we speak of the evidence that is part and parcel of our faith, what should we be focusing on? And when it comes to speaking to unbelievers in particular, does God’s word have anything to say about what constitutes this evidence? And what really, if anything, does this have to do with notions of probability? These are the kinds of questions I want to explore and will look to talk about more in coming weeks. 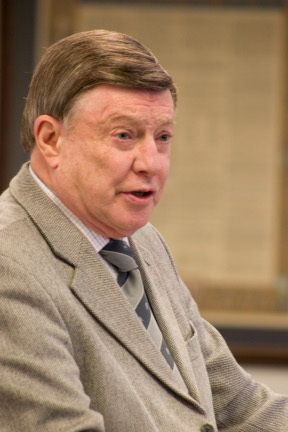 Image credit: Patrick Henry College website. On his blog, he provides additional links with documents and news reports. The Law and the Gospel are not “confused” in the person of Jesus Christ. It’s not about you: It’s about Jesus for you – and against you. All of us who are in Christ know that we do not trust our Lord as we ought. * When we talk about such matters, we are not talking about our justification – for it is not the strength of our faith that saves – but rather our continual Christification (as Pastor Jordan Cooper has called it), or sanctification. Sermons from Luther on John 16 that are must reading for today. Click here for more. From the Scriptures, we see that the Holy Spirit is Christ’s Spirit – and He not only brings people to Christ but convicts them that they have not yet been brought, or come, to Christ. This passage from John’s Gospel used to be a staple, go-to text in orthodox Lutheranism. Coinciding with the advent of modern, critical forms of theology, this is one of the texts that has been relegated to the background. These days, even many of us conservative Lutherans are not eager to bring this issue up. Rather, when we talk about Jesus Christ we are determined that this will always be in the context of the Gospel, narrowly understood – as our forgiveness, life, and salvation, our rescuer from sin, death, and the devil! Jesus is pure grace and speak not another word to me! I demand this…. Going along with this, adherents of schools like those of Erlangen are eager to use existentialist philosophy as a theological grounding, emphasizing instead – to the exclusion of everything else – the conviction of sin that might come from the creation itself. 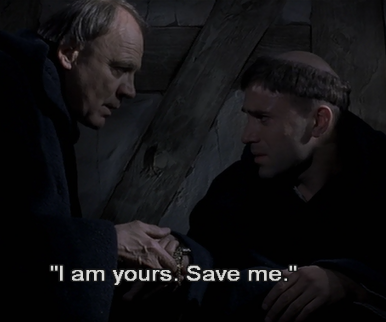 Martin Luther talked about how it is possible for a person to even be terrified by the rustling of a leaf (a friend points out this is a reference to Lev. 26:36 and actually illustrates the faintness that befalls those who break God’s law), and these theologians are all over this. Of course on the one hand this is reasonably in line with what the Apostle Paul wrote in Romans chapters 1-3 and with Martin Luther’s own approach to “natural theology”. Further, we can and should note that when it comes to conviction of sin, it is not only a sense of the Creator’s justice and corresponding wrath that is a cause here, but His kindness as well. For in Romans 2:4, we read that it is God’s His kindness that has a role in leading us to repentance (this does not mean that one can insist that contrition is only genuine and godly sorrow if it has been produced by the love of God**). In one sense the creation really is ambiguous about the overall goodness of God (see here for a short video clip dwelling on the heartlessness and cruelty of nature) – and yet in another sense, we all see the beauty that remains in the fallen creation and know a measure of joy – for the Creator puts it in all men’s hearts (see Acts 14:17). By the Holy Spirit, we are convicted by the “whole package” of God whose divine nature is not only justice, but above all, love (and it is precisely because he, not sinful man, is good and love that we cannot come to Him by our own “spiritual powers”, converting ourselves). But of course, we know that Christ reveals to us that whole package in even more detail – chasing out the ambiguities and doubts surrounding God’s goodness and love! So: how much more so can we talk about spiritual conviction when man sees the Creator God incarnate, Jesus Christ! Truly in Him, we see how the promise of grace is wrapped up in His judgment and His judgment is wrapped up in the promise of grace. The law is wrapped up in the gospel and the gospel is wrapped up in the law (before you choke on that phrase note the caption on the picture that leads off this blog post). He is both the One who will judge the world in righteousness and also the merciful one eager to show grace. And when grace is shown, there is always corresponding punishment of the wicked. We want to be on the right side of this. 19 Now we know that whatever the law says it speaks to those who are under the law, so that every mouth may be stopped, and the whole world may be held accountable to God.20 For by works of the law no human being[a] will be justified in his sight, since through the law comes knowledge of sin. But knowing this is just background for what I suggest we Lutherans really need to be talking about more today, which is this: while it is inevitable that when doing theology a limited amount of talk about ourselves is going to happen, should we not be emphasizing that we first and foremost focus on God and what He is saying – and because God focuses on us sinners, we also talk about us as *He* talks about us? In other words, when it comes to explaining the message of the Scriptures, we dare not lay the emphasis on our interpretation or imagination – or even the church’s interpretation or imagination – and should this not especially hold true in this process of conviction and conversion (initially and continually)? While it at times may well be reasonable to point out that the interpreter of Scripture cannot “escape his own shadow…”, when we are talking about standing before Almighty God, perfect in His holiness, is this appropriate? If we do this, do we not become “I theologians” who practice a form of magisterial, not ministerial interpretation? Even today, most all confessional Lutherans are eager to point out the dangers of a magisterial use of reason (here is a nice essay from Steven Hein introducing Luther’s complex views regarding the role of reason). They are not so cautious when it comes to the matter of biblical interpretation. I submit that passages like Romans 3:19-20 in particular help us to remember that the validation of God’s word is never subject to our evaluation of its truthfulness to any degree whatsoever. Nor is the establishment of God’s word in any degree based on our critical evaluation of it. ***** Nor it this the time for us to be emphasizing how we are inevitably interpreters of the words of others (perhaps even testing them against other things we know are confident are true) – in hearing these words it is we who are interpreted, for we are hearing the active words of the living Spirit of Christ (see more about an interesting battle that took place over issues related to this in the 16th century between Matthias Flacius and Caspar Schwenckfeld). It is only men veering towards or playing with death who dare to call these words “dead”. **Scripture speaks of God’s word being like a hammer that shatters (Jer. 23:29), but also says that “a gentle tongue can break a bone” (Proverbs 25:15). In Luther’s antinomian disputations he discusses Rom. 2 to some extent: God’s goodness, just like his wrath, can be a form of his law that leads us to repentance. In C.F.W. Walther’s eleventh thesis in The Proper Distinction Between Law and Gospel he only says that those who insist that a person must come to repentance through God’s kindness are in error: “To demand of a poor sinner that he must, from the love of God, be alarmed on account of his sins and feel sorry for them is an abominable perversion of Law and Gospel.” (p. 236, 1897 ed., note the “must”). ***Law and Gospel is a valuable light. But if the popular “theological shorthand” misses out on the complexity involved in the application of it to specific individuals in time it goes awry. Also, those who think that we can say things like the criterion of the law is the self are losing the plot. The criterion of the law would be God’s self, and He has made His will known. It is critically important to note that both the law and the gospel have a wider and narrow sense. This is the context – the faith/ethical framework of sorts, in which we live and move and have our being. This realization is something many modern Lutherans seem to have lost. ****We find that if there is any human being that we should begin to focus on more and more besides the God-man, it is our neighbor, as we are continuously reminded and even inspired, in our heart of hearts with Christ, to consider others better than ourselves. In short, as we mature more and more we are always actually looking outside of our individual selves more and more – to God in faith and our neighbor in love. *****We Lutherans who love apologetics ought to note this well.